Yesterday was the nicest weather we’ve had in a long time after a series of cold snaps, rain/snow showers, and flip-flopping conditions. So naturally, I wanted to take advantage and go out on the neighborhood trails with a friend from the ward. And with what do I go out on the trails? 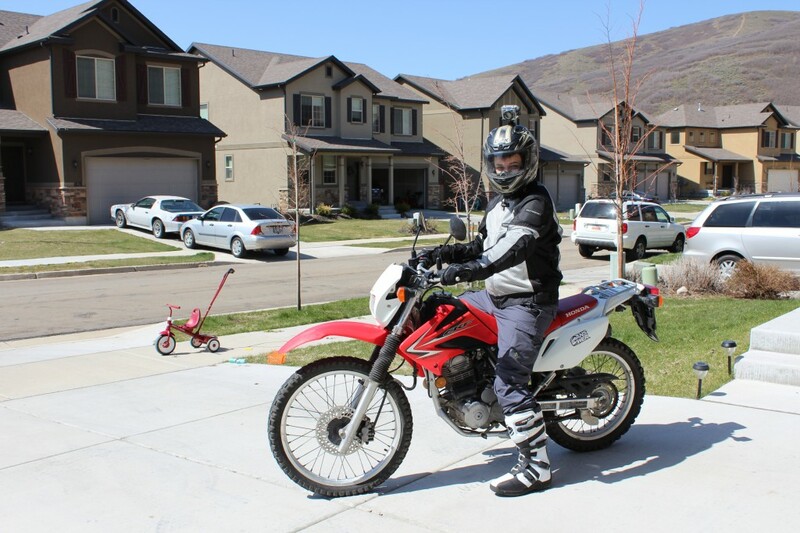 Why, my new street-legal Honda CRF 230L enduro motorcycle, of course!